The labor should be warranted in the case of poor workmanship. The landlord may be unaware of who made the repair. An icy patch on the sidewalk or a rickety step may be all it takes to generate a lawsuit for premise liability. If tenants have complained in the past, any monetary judgment against the landlord could double. Neglected repairs lead to money loss. Use skilled workers to make repairs. Emergency. An emergency exists if life or property is at immediate risk of harm. This includes gas leaks, fires, water leaks or flooding, broken locks and lack of air conditioning or heat in extreme weather conditions. Urgent. Time is of the essence in making nonemergency repairs, like hot water heaters, ovens, and laundry. Immediate attention is required, although the tenant is not in danger. However, the landlord’s reputation is. Take a look at any online apartment ratings website and you will understand how a property can go from five stars, “Maintenance is on it within the hour — the best part of living here!” to one star, “Unanswered emails and phone calls,” in a matter of days. Ratings matter. The best tenants look for the best landlords. Maintenance. 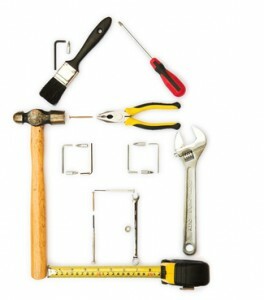 Every property requires routine maintenance. The best way to keep up with requirements is to have a plan. There is no reason that maintenance has to generate complaints from tenants. Share the maintenance schedule with the tenants so they can plan around it, and explain the scope of the work so tenants know what to expect. Every repair is an improvement. Tenants are more likely to accept the inconvenience if they understand the benefits.